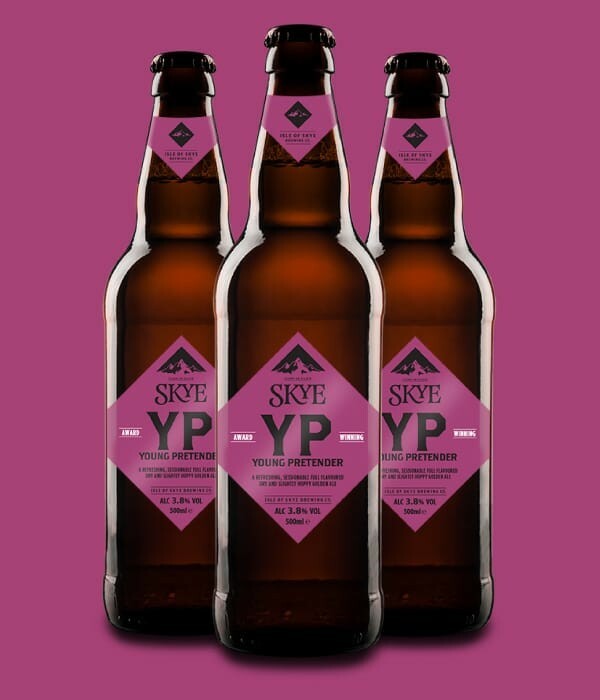 Young Pretender | Isle of Skye Brewing Co.
Much like the Skye Brewery itself – very much an upstart in an industry sometimes reluctant to embrace the new. Bonnie Prince Charlie was the original Young Pretender. After his crushing defeat at Culloden, he fled to Skye – and was smuggled back to the mainland by Flora MacDonald. The ale was originally brewed to commemorate the 250th anniversary of the ending of the Jacobite Rising.